Become a digital marketing expert with our Advanced Diploma in Digital Marketing Course. Established since 2009, we have been successfully training and preparing digital marketing professionals with the highest level of practical skills and core concepts to succeed in the dynamic world of online marketing.Our advanced digital marketing course in Mumbai covers ALL key modules in digital marketing like SEO,Google Adwords,Google Analytics, Social Media, Content Marketing, Mobile Marketing, Email Marketing etc. Our certification will enable you to design, develop and implement powerful digital marketing plans and strategies for any kind of business, big or small. You will be studying in a world class environment of 5 fully functional labs with more than 100 laptops with high speed internet connections. With more than 10,000 students trained our digital marketing certificate is recognized and respected with the best in the industry. Get a feel of the Online Marketing Business, the do’s and the dont’s, with some free tips. Address: B/2, Vimal Udyog Bhavan, 1st Flr, Opp. STARCITY Cinema, Near Mahalaxmi Society, 5 Min Walk from Matunga (West) Station, 15 Min from Dadar West Station (Come from the Dadar Phool Market towards Ruparel College), Mumbai- 400016. Teaching Faculty is excellent would be always available to clear ones doubt in any ways. Apart from teaching one would experience the best way to put on hand the practicality of digital marketing through live examples. It has been great to be a part of this institution. Cheers to DMTI..!!! Had a very good learning experience with this course. Course material was both thorough and engaging, and provided much of the exact sort of guidance that I had been looking for. Would definitely recommend. 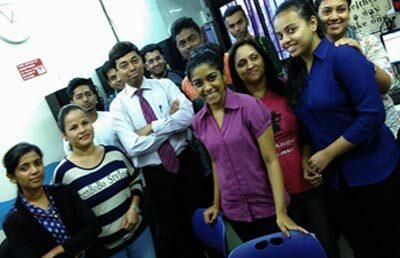 Good place in Mumbai to learn Digital Marketing. The best part is about the classroom training that they provide which helps to clear doubts immediately while learning. Distinct modules covering entire topics are helpful to gain entry in the field of digital marketing. It was a interactive session with personalized attention and practical sessions for better understanding. 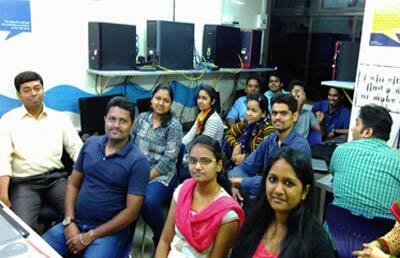 DMTI fast track course helped to gain knowledge in fast pace. All the best. Thank you. the experience with digital marketing was very insightful and helped with a lot of new things that i wasn't familiar with. It was an overall great experience. Great experience of classroom study after years, with a well blend of practical and theoretical step by step learning. Excellent faculty support with clear explanation with relevant real life examples helped in understanding easily. Looking forward to use the learning to optimum. Digital marketing 12 days fastrack course is excellent. Good practical information. Very good learning experience and provided much of the exact sort of guidance that I had been looking for. Very good training institute with excellent/ experienced and helpful faculty. Entire syllabus was completed on time with study material been provided and referral videos. Highly recommended!!!! It has been an insightful experience with good practical exposure about Digital Marketing. The Faculties (Poonam Madam and Dipen Sir) were very much knowledgeable about the course content and professional in their overall approach. I have done a Digital Marketing Fasttrack batch from DMTI. This is the best institute for Digital Marketing. We enjoyed all our sessions though they were hectic. Amazing faculties. I got to know how to use Google adwords and social media advertising and much more. I would recommend people to join this course. Had a fabulous learning experience of Digital Marketing with Poonam Ma'am! Even though the module is a 2 week one, the teachers take detailed interest to ensure that students get a deeper insight into the various modules of digital marketing. My best wishes to Poonam Ma'am and her team.... highly recommended for all digital marketing enthusiasts! This is my second course with Softpro, and it has completely met my expectations. The faculty is beyond amazing!! Totally recommended. The course taught was in depth, informative and with many practical case studies. I attended the 2 week fast track batch and highly recommend it. Learning was never fun but here it was fun. 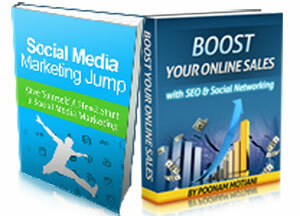 I had a fabulous time learning digital marketing with Poonam mam. Attending the class was worth it. I did my Digital Marketing Fast Track Course. Poonam Mam and Dipen Sir both were awesome. Along with the digital marketing course I got to know many hacks and tips about Online Business. Would suggest everyone to do this course. The best institute to learn digital marketing. The course provides in-depth knowledge about digital media and various other platforms used. Practical learning on live project. Fun learning digital marketing here. 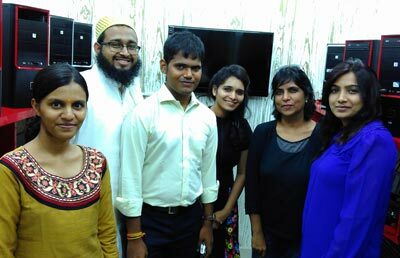 I joined the Softpro - Digital Marketing Training Institute - Andheri West branch, as I wanted to start my career in Digital Marketing . After a thorough comparison of offline as well as online training institutes, I decided that classroom learning would be more valuable and zeroed in on DMTI. I joined the weekly batch and the method of teaching included real life examples as well as case studies for better understanding. Doubts and queries were patiently answered and interactive discussions, encouraged. Apart from regular classroom sessions, discussions are done and queries are resolved on student-faculty WhatsApp groups as well. From the value point of view, It was a good experience, they do cover a lot of topics in detail. Highly recommended for beginners and working professionals. The faculty is awesome! Teachers are very friendly and know what they are talking about! and from my experience. I would definitely recommend this class to students wanting to learn Digital Marketing in a classroom environment. Training is precise, practical based and its learn by doing. Shared lot of examples and real case studies. I enjoyed my course and looking forward to update my learning through their teachings. Joined Digital Marketing Training Institute-Softpro For Fast track Batch In Sept -Excellent teaching from Poonam Mam..Explaining each and every topic properly..with good amount of practical work as well.Would Definitely Recommend Others as well !! Its been an excellent journey throughout the course faculty and other people are very professional and friendly approach too. I have completed my digital marketing course and i recommend to each one of you who is searching for a good institute to get trained for digital marketing. its fun here to learn digital marketing...... #class room training + live account training + awesome trainer and in depth knowledge. please join and explore new carrier option. This has been a wonderful experience learning at DMTI Softpro. The Faculty has been very cooperative and attentive and more than 80% was practical learning which gave us huge benefits and insights. Every person interested in Digital marketing field must learn here for better understanding. This has been an amazing experience and I am very glad that I choose this institute for learning Digital Marketing. Right from the faculty to all the other services we got were literally amazing. I'm proud to say that I took the best decision to enroll into this institute. Joined Digital Marketing Training Institute-Softpro For Fast track Batch In Nov 2017-Excellent teaching from Poonam Mam and Sachin Sir..Explained each and every topic properly..with good amount of practical work as well.Would Definitely Recommend Others as well !! Thank you for the support !!!! Best institute for Advance Digital marketing course. Very supportive staff and best coaching with nice study material. Excellent institute for learning digital marketing. They teach the course in-depth and they provide practical knowledge as committed more than that you are confident and ready to start your agency. Staffs there are kind and ready to help any time. Best Training Institute I have ever enrolled in. Amazing & Experienced Faculty. Ask the same question 100 times and it is answered very patiently. An Ocean Of Knowledge. It is very good institute. all the staff associated with Institute is very helpful. Teaching staff is excellent who share all the knowledge about the Digital Marketing. Worth investing time here to learn Digital Marketing. I have done Fast track Digital Marketing Courses Jan 2018-Excellent teaching from Mrs. Poonam Ma'am with Good and Motivated Stories which helps us to understand easily... !! Highly Recommended for those who are looking to make their careers into digital world. Excellent coaching. Practical exposure. Received detailed knowledge about digital marketing. I strongly recommend this institute for this course. Excellent Course! A lot of in-depth information and knowledge can be learnt from this course! Practicals made it a lot more understandable. A good way to understand the Digital Marketing World and to start something of your own. Highly Recommended! The course was very helpful and very informative. Helped me in understanding the concepts of Digital Marketing. I would recommend others who are looking for Digital course to enrol and be a part. Would like to thank all the faculties. Wishing Dmti Softpro all the Best..
very informative course with examples and practice. Very importantly each student is well equipped with the necessary tools used for each task done for digital marketing. Gives enough knowledge to be a digital marketing freelancer. This course has been very helpful in enhancing my skills. It has given a lot of practical knowledge. The staff and the teachers have been extremely helpful. Amazing experience. digital marketing taught in the easiest way possible! I recently learnt autocad, revit and photoshop from this institute. The course was well designed and all the necessary tools were taught in detail which gave me a good understanding of the softwares. 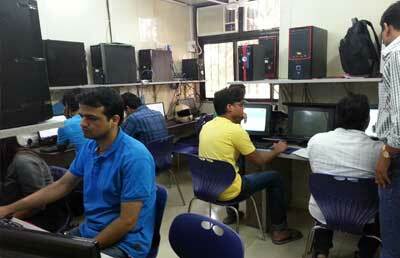 The faculty was knowledgable and well-versed with the softwares. Overall it was a fun and exciting learning experience. I have done the digital marketing course at softpro, the faculty explained well with enough time given for practice and lot of assignments. I am confident to take up the campaigns. thank you Softpro Dmti, and I passed the Google Adword and Analytic certification also. 25 modules at a great price. Good Faculties. Grab It. Excellent knowledge and friendly environment... N daily practical are a very good help for the students. Teaching faculty is very good and so helping. If you planning to go for Digital marketing then probably join DMTI. I am Gaurav Patil, I have recently completed a digital marketing course form DMTI Softpro. Best faculty with excellent infrastructure & limited students in a single batch & also personal attention to every student. I opted in for their Fast Track course of 12 Days and found it to be really very helpful. it was not only the technical knowledge but also the the market insights and latest innovations that were discussed. First of all thank you so much Softpro for your wonderful course and faculty. Thanks poonam ma"am and Dipen sir for giving so much knowledge and skill of Digital marketing. Nicely explained all concept. Excellent place to learn digital Marketing from. very happy with the teaching and teachers they are friendly and amazing would recommend to all who are interested for digital marketing. Dmti Softpro has good teaching staff along with proper notes for students to revise. Overall a good exposure. Having worked in traditional marketing and branding, I wanted to get better acquainted with digital marketing as I believed that this was an added component to marketing which i was not well versed with. I took the 12 day crash course where I completed the 25 module course. I have done other such courses, where though the classes were good, facilities such as the laptops provided were not upto par. At DMTI, the facilities were really good which made for a seamless experience. Apart from the facilities, the teachers themselves come with decades of experience and invite students to stay in touch once the course is completed. They not only help with queries but also support us in finding employment and resources. I joined 12 days fast track course ,must say very happy with the teachers they are friendly and amazing would recommend to all who are interested for digital marketing. Very good institute to learn digital marketing. Experienced faculties with in-depth industry specific knowledge. Great Experience. Recommended! Thanks to faculty (Poonam Mam, Dipen Sir, Siddika Mam, Sidhi Mam). Hope to learn more from you in future. Very genuine and quality training by professionals and taught in-depth with greater simplicity. Address: PEARL PLAZA , 7th Floor, Office No.704, Just OUTSIDE ANDHERI WEST STATION - NEXT TO new MCDONALD. ONLY 1 Min.Walk from Andheri (W) Station, Mumbai- 400058.